Updated Wednesday August 1, 2018 by Shades Mountain Park. 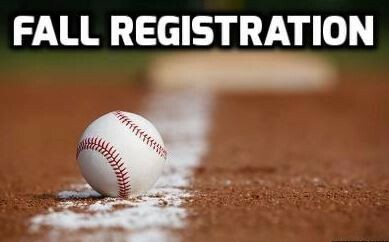 2018 SMP Fall Baseball Registration will be open from 7/30/18 - 8/24/18. Registrations after 8/24 will incur a $50 late fee and will only be accepted on a space available basis. Practice will begin the week of 9/3. Practices are typically one or two days per week. If you have certain days your child cannot practice, please specify this in the comments section when you register. Games will begin the week of 9/16 and run through 10/29. Games will be on Sunday afternoons, typically between 1:00 pm and 5:00 pm. To register, please go to: http://www.shadesmountainpark.org and log in with your account. External links are provided for reference purposes. Shades Mountain Park is not responsible for the content of external Internet sites. Copyright Shades Mountain Park All rights Reserved.